Last Monday, I was mindlessly stalking various websites in hopes of finding the Lapis YSL ring. I came across my size 5 on the Saks site and I think I literally gasped! I ordered right away, because I knew it would sell just as quickly as it had before, when I thought it was finally going to be mine (I'm talking to you Net-A-Porter!) I was right. I checked the site again on Tuesday, and the lapis was gone. The color is even more brilliant in person. The stone glows. My Arty family is now complete. Congrat's! Very pretty! But can you take a picture of you wearing it. I'm having a hard time imagining how it looks on! =) Thanks! YAY! So glad you finally got it in hand. It's gorgeous. I ordered the pink one from net-a-porter too and it looked NOTHING like it did on the web site, I had to return it. It's such a gorgeously striking ring and definitely something you could pass on to your daughter one day. Andi: Thank you =) I'm sorry about yours, I know YSL is coming out with new colors. Maybe one of those will appeal to you. Natasha: Thank you! You wear a size 5 too? I feel like it's so rare! OMG I love that ring! That blue is my favorite color, whenever I find something that color I am drawn to it, is this different than the ring on the YSL site? 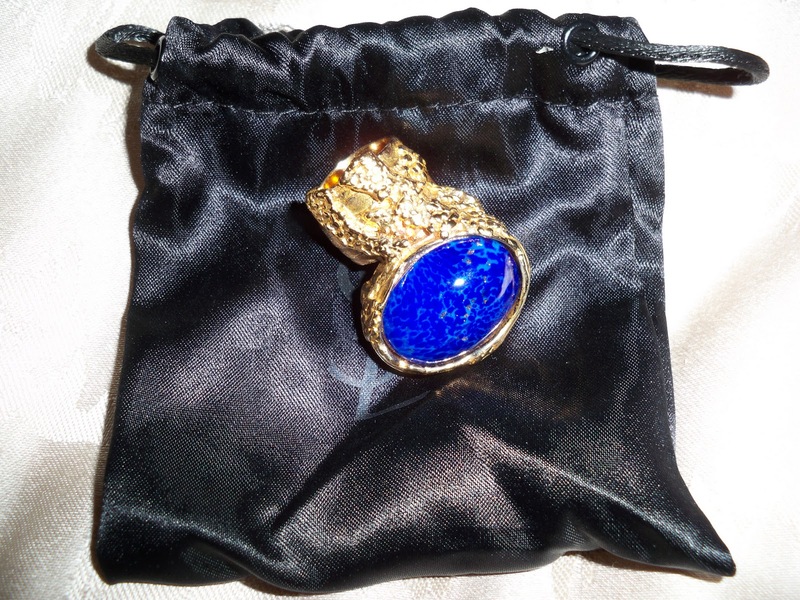 I see on the site it is called Arty Oval in blue but this is Lapis? They look very similar but yours looks more sparkly on the stone. I've never seen one of these rings up close...and I lost my breath for a moment...they are gorgeous!! I love the turquoise because its my birthstone. You're such a lucky little diva...enjoy your rings! LOVE THESE RINGS,,,after asking you awhile back where you got yours (from a previous post), I went to the YSL store at the Bellagio in vegas and grabbed one! Classic! Love it!! I think the blue is my favourite! Congrats on finding the ring you want in stock - love the modelling pic - is that with Black Pearl on your nails? Jennifer: Yes, I believe they are the same. Although, I also think that every ring is unique. They seem to differ a tiny bit because I've seen countless pictures and somehow they all have slight variations. I've read reviews where people have complained that the ring sizing is off too. I didn't have issues with that; both of my rings are a size 5 and they fit exactly the same. Also, In darker lighting, the stone looks like a dark navy. In the sunlight, it looks more like a bright royal blue. I didn't buy from the YSL site because the price is 250 dollars on there, versus 195 at Saks and Net-A-Porter. I hope this helped! Dye-A-Graham: Thank you, you're so sweet =) I know I'm fortunate enough to be able to have these, but I did save up a bit. I don't normally purchase such extravagant things! Nikosmommy: Oh yay! Congrats, I'm happy you tracked one down! Which color did you get? They are all beautiful IMHO. Emily: Thank you, it's mine as well. Ella Pretty Blog: I think my fingers are like wishbones! But thank you for the sweet comment =) Yes, the color on my nails is Black Pearl. I need to do them again because the polish is starting to look worn. It is amazing! I am so glad you found your ring!!! Witoxicity: Awwww, thank you =) It was one of those things "I HAD to have" and I'm just glad that I got the chance! 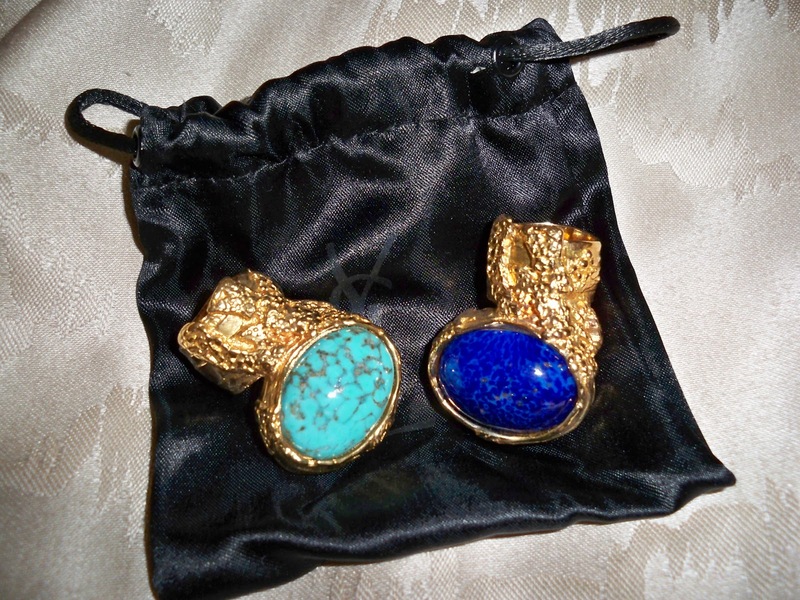 Ollie Things Beautiful: I might wear them together, but I'm unsure! I love yours too. The lapis blue is simply STUNNING! I ended up keeping the coral (turquoise ran bigger for some reason). I know the lapis is always sold out so that's fantastic that you snagged the size 5 to round out your collection : ) These are listed for crazy prices on ebay (some $300+) and I hope shoppers realize they're available at regular department stores like Saks. WOW. now that is amazing! 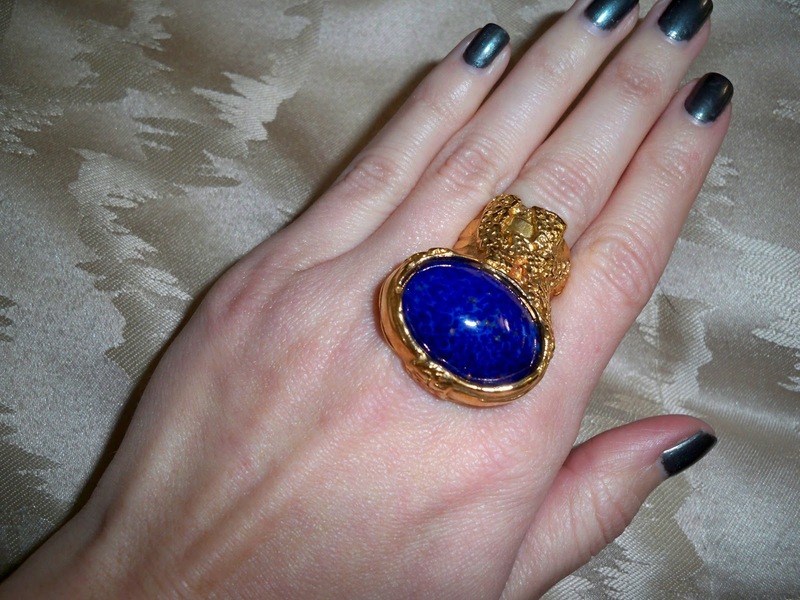 Fabulous ring! Crystal, Alexandra, and Amber: Thank you girls! Jean: Thank you =) I can't believe the Ebay prices! I looked on there a few weeks ago in the process of looking for the lapis, but there was no way I was going to pay such ridiculous prices when even YSL dot com isn't as expensive. I think it's crazy!